Meet Doc. He can Help. Kari Mann Dental Studio is a family practice that serves patients of all ages. We're committed to delivering the highest quality dental care using state-of-the-art technology. 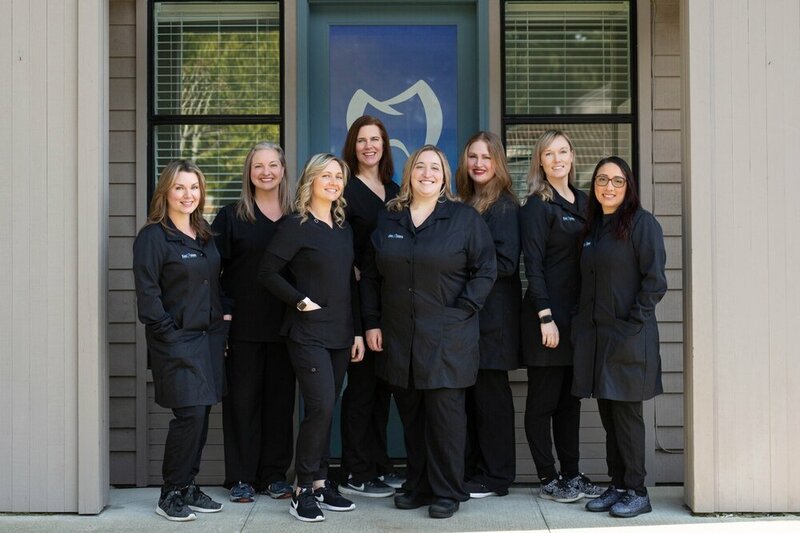 Our focus on offering the best healthcare experience includes a range of services including checkups, teeth cleaning, crowns, veneers, and more. If you need emergency services, you're in the right place. If your smile and chewing function would benefit from bonding, root canals, crowns, and bridges, our team will take care of you. As your local dentist, we love forming lifelong relationships with our patients and their families. We're here to ensure that you receive care in a comfortable and relaxed environment! Kari Mann Dental Studio provides a wide variety of dental services to enhance the health of our family of patients. By combining quality patient care with up-to-date technology, we're able to treat the whole family in a safe, comfortable setting. Our highly trained team identifies solutions along with biological causes behind the concern. 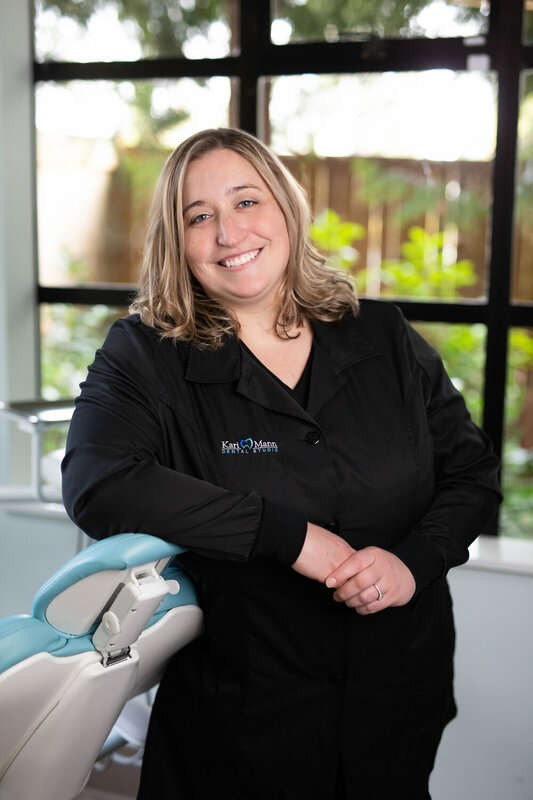 This approach sets patients of Kari Mann Dental Studio on the road to recovery and long term wellness. Conveniently located in Shoreline WA. Restore your function and beauty. We treat the whole family. This could be your chance to finally get the care you need. Kari Mann Dental Studio helps you maintain the highest standard of oral health while limiting dental expenditures. A partnership between you and our team pays dividends, protecting and enhancing your smile now and well into the future. A growing range of options opens doors for anyone at any age to enjoy a stunning new smile. And Dr. Kari Mann's passion for enhancing smiles brings you the best in modern dentistry. No insurance? No problem. Kari Mann Dental Studio provides an alternative to those without insurance. Enjoy quality care for less than a dollar a day. Walk into our lobby where you will be greeted by our friendly staff, and perhaps you'll even get to meet Doc. Not Dr Mann, but Doc, the resident pup that will help calm any nerves you might have at your visit. We understand that every dental patient has different financial needs. We will work with you to find a solution that enables you to get the dental care you need, with or without insurance. We have a convenient paperless forms option for you right here on our website. Save time and fill out your new patient paper work from the comfort of your home.